Born in 1857, Yda Hillis Addis was the first American writer to translate Mexican oral stories and written histories into English. Addis published these stories in The Argonaut but also wrote original fiction that included ghost stories, love triangle stories and feminist stories. 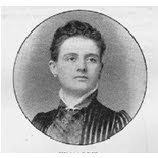 Her work was also showcased along side work by Ambrose Bierce and Mark Twain in various publication but unlike some of her other contemporaries, her work has been mainly lost. Yda was the daughter of photographer Alfred Shea Addis. Alfred was born in Philadelphia and moved to Lawrence, Kansas in the 1850s where he became an assistant for Thomas Short, a photographer. He soon married Short's daughter, Sarah and they had two children, Yda and Judge (born in 1862). The Addis' and the Shorts were Confederate sympathizers and when the situation in Lawrence grew too violent, they moved to Leavenworth, Kansas under the protection of Fort Leavenworth. Soon after Missouri seceded from the Union, both families fled to Chihuahua, Mexico where Alfred soon began photographing Mexican landscapes and the people. The Addis' stayed in Mexico until after the Civil War and then moved to California. Yda was a young writer in her twenties when Argonaut founder Frank M. Pixley introduced her to his good friend, former California governor John G. Downey. The two got engaged but when Downey's sister realized the two got engaged, they shanghaied him to Ireland, leaving Yda to sue for breach of contract. Before the trial however, Yda left for Mexico City to write for the bilingual newspaper and where she met editor Theodore Gesterfeld. Gesterfeld's wife, Ursula, who suspected her husband of cheating on her, sued for divorce and named Yda a co-defendant. Amidst the scandal, Yda moved to Santa Barbera to publish a book of biographies. During one of the interviews, she met and soon married Charles A. Storke. Yda was treated badly by both Storke and his teenage son Tommy, and she accused Storke of some peculiar intimate behaviors and violence toward her. Storke retaliated with a divorce complaint on the grounds that Yda was insane. During the divorce Yda discovered that her attorney, Grant Jackson, was in duplicity with Storke. She shot Jackson, who survived, but she spent eight months in prison. When she was released, the divorce was not final and Yda requested alimony. At this time Clara Shortridge Foltz stepped in briefly to defend Yda. Storke refused to pay the $500 a month that she requested and instead had Yda committed to an insane asylum. Yda later escaped the asylum, and disappeared.